FAYETTEVILLE, Ark. 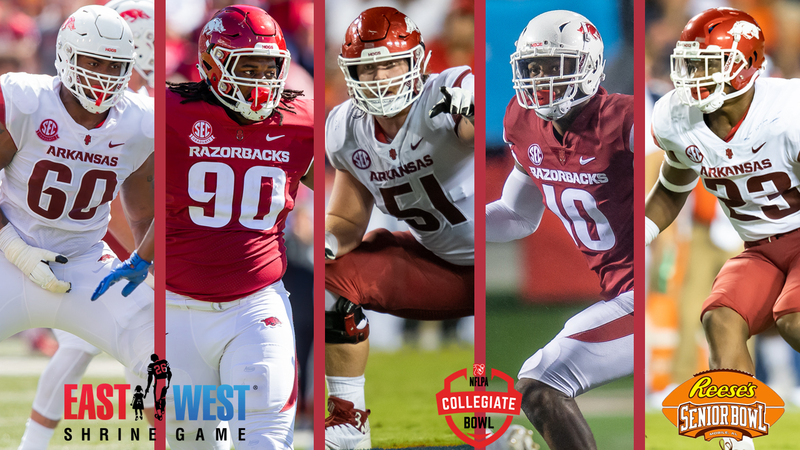 – Five seniors from the Arkansas football team are set to compete in three college all-star games over the next two weekends, kicking off with the East-West Shrine Game and the NFLPA Collegiate Bowl on Jan. 19. Offensive lineman Brian Wallace and defensive lineman Armon Watts will begin the weekend for the West squad in the East-West Shrine Game at Tropicana Field in St. Petersburg, Florida, with the game beginning at 2 p.m. CST on NFL Network. Later in the day, offensive lineman Hjalte Froholdt and defensive end Randy Ramsey will suit up for the National team in the NFLPA Collegiate Bowl at the Rose Bowl in Pasadena, California, kickoff is slated for 4 p.m. CST on FS1. On Jan. 26, linebacker Dre Greenlaw will participate in the Reese’s Senior Bowl for the South team, with the game broadcast set for 1:30 p.m. CST on NFL Network from Ladd-Peebles Stadium in Mobile, Alabama. Wallace, a three-year starter for the Razorbacks, played in almost 2,000 snaps over his collegiate career. A reliable force on the offensive line, Wallace improved in pass protection every year as a starter, according to Pro Football Focus. He recorded three games in 2018 with grades over 80.0 in pass blocking, including a season-high 84.4 against Eastern Illinois. The Razorbacks amassed 11,692 passing yards and 92 touchdowns through the air over his four years at Arkansas. Watts put together a strong senior campaign on the Hill, culminating with the Dan Hampton & Paul Eells Awards from the Little Rock Touchdown Club on Jan. 10. Watts paced the team with 7.0 sacks, the 10th-most in a single season by a Razorback and most by an Arkansas defender since 2015. He totaled 49 tackles, 8.5 for loss, while also forcing a team-high three fumbles. Watts rounded out the year with an 85.4 grade from PFF, good for fifth among SEC defensive linemen. 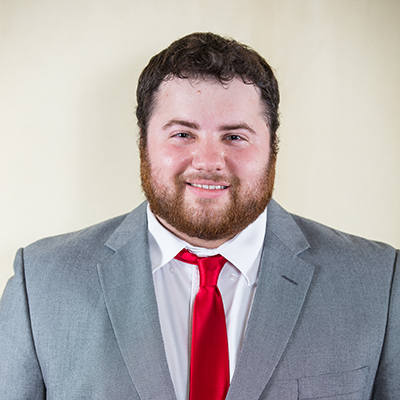 Froholdt anchored the Arkansas offensive line for the last three years, participating in 2,446 snaps (PFF). Froholdt did not allow a sack in 1,291 pass blocking snaps since 2016, resulting in a grade of 88.5 in the category over his senior season. He was twice named to the Pro Football Focus SEC Team of the Week and earned AP All-SEC second team honors last year. He rounded out his collegiate career with three All-SEC accolades and two CoSIDA Google Cloud Academic All-District awards. Ramsey, a four-year letterwinner on the defensive line, totaled 1,419 snaps (PFF) over his Arkansas career. Last season, Ramsey started in 10 games, racking up 32 tackles, 7.0 for loss with 3.0 sacks. He was also credited with six quarterback hurries and recovered a fumble against Tulsa on Oct. 20. He wrapped up his time in collegiate football with 105 tackles, 18.5 for loss, 7.5 sacks and four forced fumbles. Greenlaw, a Fayetteville local, started in 38 games over his four-year career for the Razorbacks, the most of any student-athlete on last year’s roster. He spent all of his senior season atop the SEC in career tackles, finishing with 320, a feat accomplished in eight fewer games than the second-place total. As a senior, he posted 80 tackles, 6.5 for loss with two sacks, picking off two passes with a forced fumble and a fumble recovery.